The location was in the driveway in front of an outstanding Holiday Inn in Crystal City, Virginia. The "Take It!" 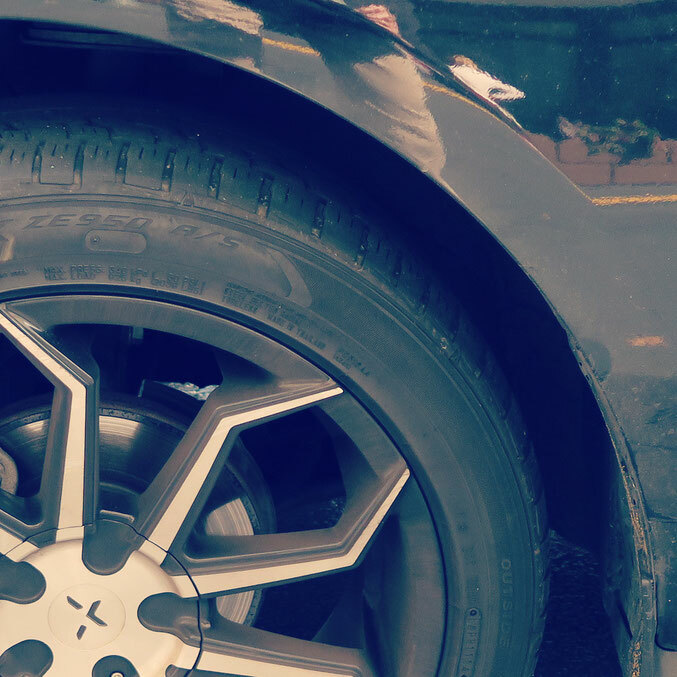 came from walking by this car and taking a look at the unusual design of the cool rims. 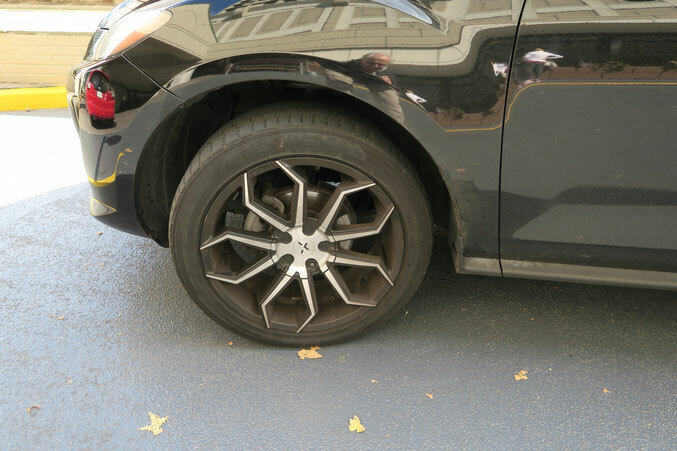 I had never seen rims like this, even though I am a car freak, and get a bunch of car magazines in which there are oodles of ads for the latest of rims. These were different. I looked at them on my way into the hotel and as I walked out - somehow it hit me that the wheels looked like spiders. After getting back into my car to be on my way, I decided to stop and take a photo of them to possibly share. After taking the photo, the owner of the car walked up to get in the car and I complemented him on the cool wheels. He thanked me and I then told him that I thought they looked like spiders. He looked at them again, and said he had never looked at them and seen that before, but could definitely see what I was talking about. He thought it was way cool. We parted with smiles - as I had to get going. The After Take: To those whom I shared the photo with - they all agreed with the spider concept and we shared a laugh. I must tell you - this web site is a lot of fun to put together. A big part of the fun is knowing a bunch of good folks are going to look at it and some will enjoy it. There are even some that enjoy dashing off a comment to me, which gets into the share of it all, which is just that much more fun. I am glad you find reading our thoughts and musings fun. I often read what other users have to say as well. I can't speak for everyone, but the three of us teachers that get together for lunch everyday have had a blast with this site, so I am happy we can provide you with some entertainment as well. These last few posts you have done that have been this "Do you see what I see" kind of thing has been really cool. I've seen those rims before and like the driver I had never thought about them as spiders but I can definitely see it. Wow! They look a lot like Spidermans symbol. I envy your imagination. I would make a poor picture blogger because I just can't zero in on things like you do. Its a rare talent! Our youngest son couldn't take his eyes off this picture. Right now he wants to be a NASCAR racer. I don't know a thing about cars, but those are very cool!!! I signed up for your newsletter last week. I had been meaning to do it ever since I saw the sign ups on the homepage, but I kept forgetting. I finally did it on Saturday and had this waiting for me Monday morning. Just wanted to say I think its neat that the stories come to us now. Good on ya for going back to grab a shot. As my students would say, sick ride!